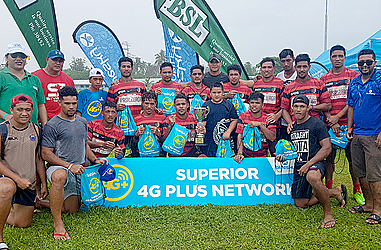 The Savai’i Sevens team are the champions of the 2018 Bluesky Iva Savaii 7’s Tournament. They defeated Lulu Mai Vini, 26-7, in the final played at Prince Edward Park last Saturday. 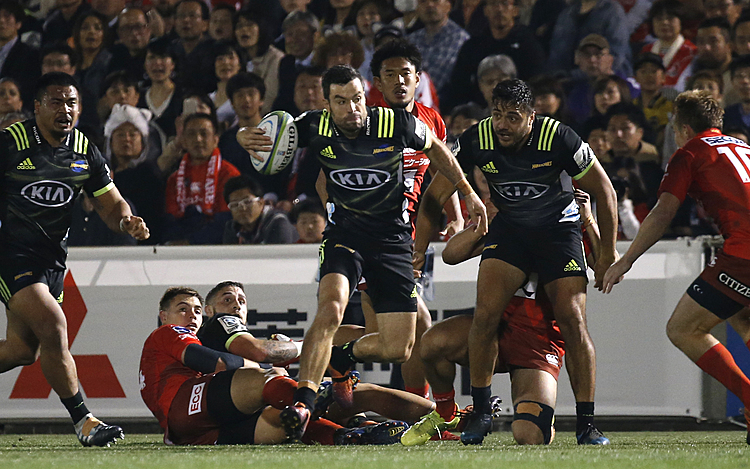 Aoga le Va’ai overcame Lupesiliva, 19-12 to secure third place while Tepatasi was too good for Saleimoa in the plate final, winning 22-0. Saasaai won the bowl, beating Samusu, 19-14 while Salelologa Development was victorious against Lalomalava in the Shield final, 24-19. For the fourth year in a row, Bluesky have been avid supporters of the tournament. This year in particular was a successful milestone as it marked the 10th year since the Iva White Lions Committee has diligently run this competition for the whole of Savai’i. Helping the game grow, Bluesky Samoa, in collaboration with Business Systems Limited (B.S.L. ), donated $15,000 to the tournament. The strong support by both business partners was able to assist in the success of this year’s Bluesky Iva Savaii 7’s Tournament. The 2018 Bluesky Savaii Iva 7’s Tournament was a three day Tournament starting on the 25th of October and opened with a parade from Iva to Prince Edward’s Park, where the BSL Bluesky U18 7’s Tournament ended with a win by Salelologa 19 – 17 against the only Upolu U18 team: Leulumoega Fou College. Bluesky made the event another Family Fun Day - where families and participants Savai’i wide were invited to enjoy bouncy castles, games, prize giveaways galore and food. Best of all, Bluesky Roadshow teams had the best 4G Mobile phone deal in Samoa, the $49 tala 4G BLU Dash mobile phone along with Free Super Sims readily available. “Our commitment to serving our people in Savaii not only extends to having the most reliable 4G Network coverage, but we also want to ensure they have the best 4G mobile phone deal in Samoa too. Hence we have the $49 Tala Blu Dash Mobile Phone available only with our Roadshow Teams, who you will see around Savaii and Upolu, ready to serve you with this special deal,” says Mr. Abraham. This year’s event held another first in Savai’I by introducing a Womens 7’s Tournament where Palauli Sisifo went head to head in the Grand Final winning against Iva White Lions Womens 7’s Team 24 to 0. “It was wonderful to see the whole community come out and support both the Mens & Womens Finals. Children were so excited, the atmosphere at this years 2018 Bluesky Iva 7s was very uplifting. “This is similar to our Country Manager’s commitment to seeing Rugby grow from the grass root levels. We were also very pleased to see the team from Savaii take the main cup final. Congratulations to all the teams who participated in this Years 2018 Bluesky Iva 7s Tournament,” says Anish Chandra, Bluesky Samoa’s Financial Controller.